Here are three examples of how Peep-trained practitioners have used the Peep Learning Together Programme to support their work with fathers in prison. supporting positive transitions back into family life for young children whose parent is due for release. Staff: Two Peep-trained practitioners, Gillian Forbes from Highland Council and Mairianne Nairn from Care & Learning Alliance (CALA); the project built on CALA’s existing Prison Service work with remand prisoners and their families, and on Highland Council’s Peep delivery in local communities over the past decade. ‘The course consists of 13 weekly hour-long sessions with the families, followed by an additional 30 minutes for the fathers to work on their portfolios. Each course has been run with two or three dads (who are in custody), their baby or young child and their partner. The first course went really well, and the families were really appreciative. We’re now on to our third time of running it, at the request of the Prison Governor. We’ve seen all the dads grow in confidence and get really involved within the sessions. There were obviously challenges: the prison is fairly small but over-crowded, with many prisoners being either short-term or moving to another prison, and for some mums it was too far or difficult to bring their baby or child each week. From the start, we were keen that the fathers would have the opportunity to gain an SCQF-credit-rated unit (level 3, 4 or 5), from the Peep Progression Pathway. This is based on the parents’ own learning and reflections on an aspect of child development, linked to play and learning activities that they do with their child during the session, then record in a portfolio. The children can be any age from 0-5 years, so the courses have used the mixed-age ‘Early Child Development’ unit. This includes Learning Together Programme topics such as Helping children feel good about themselves, Play and language, Sharing books with babies/young children, Maths in everyday routines and Food for life. Maree Todd, Scottish Minister for Children and Young People, visited one of the sessions in December 2018. She was very positive about the encouragement, praise, nurture and strong relationships that she saw, about the emotional literacy displayed in the fathers’ written portfolios, and about the likely lasting benefit for the families. Six sessions with fathers, followed by a seventh family session before release. Focused discussion/ talk-time around children’s needs and parental responsibilities; routines, play and other aspects of child development; attachment, and creating portfolio diaries. Activities that provide ideas for positive interactions between parent and child, as well as promoting learning, e.g. stories, songs, puppet making, messy play. Family fun session to enable learning to be put into practice. Dads were reflecting and thinking more about both the impact on their children, and the role of their partner in caring for their children while they are absent. A dad who had been in prison since his child was 1 year old (now 4) had said at the beginning that he didn’t know how to interact with his son. At the family session he was animatedly sharing his homemade book and puppet with his son. Dads were reflecting on making longer term lifestyle changes to stop re-offending. Seven sessions with fathers, followed by an eighth family session where children are invited into the prison for a joint playtime with their Dads, who can put their new skills into practice. The Spurgeons team also work with the whole family, including introducing them to services within their own communities, especially children’s centres. staff: Peep-trained Spurgeons practitioners, funded by The Big Lottery. 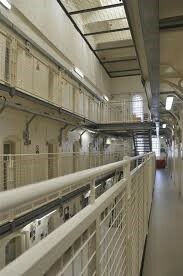 Spurgeons Invisible Walls Family Support Service provide a number of interventions for prisoners and their families. how to make the most of prison-visiting time. The fathers were asked if they would recommend this course to someone else? "Yes, it's a really good course and really helpful to build better bonds. Loved the sock puppet." "It’s a good relief to know how important my children are and how I can still have a part in their lives. Although small, it is still a part." "Yes - get on the ‘Time for You and Your Baby’ course, you would love it!" Get in touch if you're interested in using Peep programmes in any of these (or other!) ways.